OrderlineBOX is a software system for the corrugated box industry. It speeds up the quote to invoice process and is user-friendly software which is suitable for all sizes of corrugated packaging business. The software is made up of modules and is very flexible. It can be customised to meet the needs of sheet plants, integrated corrugated plants and packaging suppliers. It is a proven solution which helps corrugated box plants to get quotes out faster, win more business and improve efficiency and communication across your business. OrderlineBOX is corrugated box software which is very user-friendly. It is the ideal replacement for manual spreadsheet systems. It provides you with easy access to a robust database of sales history which helps remove duplication of effort and improve accuracy. 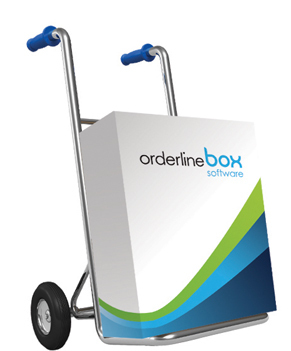 OrderlineBOX is extremely flexible and scalable packaging software. Highly integrated modules allow you to choose the modules that suit your business. No need to purchase new Accounts software. You can integrate with existing software or simply use as a stand-alone system. Onesys are an accredited Sage Business Partner in the UK and supply a range of Sage software and services.Onesys don't just supply software, we pride ourselves on delivering high quality, prompt and professional support to all our customers whether large or small.